I recently watched Marie Kondo’s Netflix series, “Tidying Up with Marie Kondo.” I had read her book, The Life-Changing Magic of Tidying Up: The Japanese Art of Decluttering and Organizing, when it was released in the U.S. a few years after I began my professional organizing business. I found the book to have many helpful methods and tips on decluttering and getting organized. Although my title is professional organizer, other words used to describe what I do is clutter consultant, decluttering specialist, organizing consultant or home organizer. More recently, the term KonMari Consultant has been used to describe those trained by Marie Kondo. In any case, it was interesting to see a job similar to mine on reality television. While I don’t share all of Marie Kondo’s methods, anything that makes people aware of decluttering and organizing and how it can vastly improve lives is wonderful. I like how “Tidying Up with Marie Kondo” has been motivating people to tackle decluttering on their own, resulting an outpouring of donations to charities. 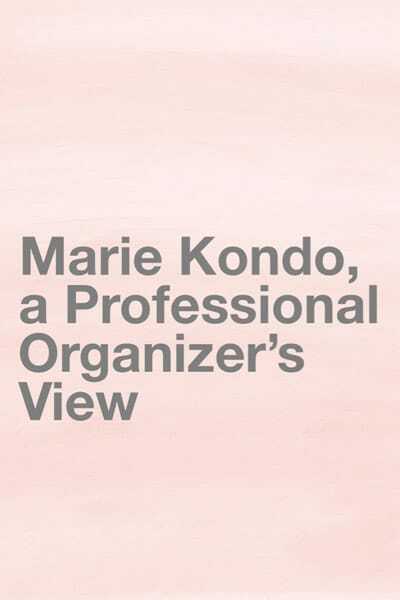 As a professional organizer, my main concern about the program is that it may give viewers a misconception of how professional organizers work. I offer in-person hands-on decluttering and organizing services, as well as do-it-yourself home organizing consultations. From what I saw in the Netflix series, Marie Kondo worked more as a DIY consultant. She provides her clients with tips on folding and storing belongings, and gives them homework based on her KonMari process. Later, she returns to check on their progress and assign more homework. Now, this is a fantastic option for some people, those who are highly motivated, have plenty of time to focus on the tasks, and are physically and emotionally able to do it on their own. However, in my seven years of experience as a professional organizer, only about 2% of my clients chose the DIY option. Everyone else wanted and needed in-person hands-on decluttering with a professional organizer by their side the entire time. Facing the homework of sorting through a mountain of clothing can be extremely overwhelming to many people, even more overwhelming than the original excess of clutter that prompted calling a professional organizer. This is why I say “I work differently from Marie Kondo, but I can help you declutter.” When I assign homework, it’s because the client has expressed a willingness to work independently, and it is a small enough task that my client may be able to complete it in between organizing sessions. If my client does not complete homework, I will help them to go through the homework tasks at the next organizing session. Clients have often exclaim, “I wouldn’t do this if you weren’t here!” My clients tell me they would get distracted, exhausted, or overwhelmed and just give up if I weren’t there providing emotional and physical support during the decluttering process. Sorting through everything you’ve accumulated in your lifetime is no easy task! When you work with me, I will not introduce myself to the house, I will not tell you to thank your belongings (unless you want to), and I will not insist you fold items in a certain way (unless there is a method you’d like to embrace). I never make my clients get rid of things, but I will talk with them about each item, and its function and value in their lives. My clients always make the final decision when choosing what to let go of, but I provide guidance and assistance in the decision-making process. Decluttering and living with less is a great way to simplify your life, and it is much easier to organize and find items once you’ve let go of some possessions. If you want to declutter your entire home in that way, I will help you and support you in that method. My usual process begins with touring the space and discussing my client’s priorities. The KonMari order of starting with clothing, may not be the optimal way to start if your number one priority is to park your car in the garage or to find paperwork for filing taxes in your home office. In that case, I will begin in the garage or home office, and take a room-by-room approach based on your goals. I do agree that sentimental items are best to sort through last because of the emotional component, and I understand why Marie Kondo suggests honing your decluttering skills on other items before you tackle the sentimental belongings. If you have seen “Tidying Up with Marie Kondo,” and have begun the decluttering process on your own, I congratulate you! I am so happy that you’ve been motivated to make those changes to improve your surroundings and your life. However, having support can make the process less frustrating, so if you feel you need further assistance with decluttering, organizing, or productivity, you can find members of the National Association of Productivity and Organizing Professionals nationwide ready to help you. If you’re located in the Raleigh, North Carolina area, I offer my hands-on in-person professional organizing services in blocks of time of 3 hours or more. Most clients choose 3-hour sessions because that’s enough time to make progress before decision fatigue starts to set in. No project is too small or too big, and I work with my clients based on the amount of time they have available to focus on their home organizing projects. If you live outside the Raleigh area, I offer 1-hour sessions of virtual organizing assistance over video chat. Please contact me if you’d like more information on how my services can help you to declutter, organize, and simplify your life. I totally agree! Not many of my clients can do it themselves especially if the project is pretty large and they only have a small amount of time during the week.